The big brawl between Rick and Shane looms on the horizon, and at the center are two of the show’s most polarizing figures. In this post-apocalyptic word, most of the skills and jobs held before are completely irrelevant. For someone like Lori, who has no outstanding capabilities to fight walkers¹ or survive in harsh conditions, the only option is to attach herself to someone who is capable of those things. Enter Shane who, if inferences made from their conversation in Triggerfinger are correct, has had a thing for Lori since long before the virus happened. He is strong, a fighter, and willing to do anything to keep Lori and Carl safe, even if to the detriment of others. Then there is Rick. Her husband, also strong and capable, and a natural leader. Both of these men, although different in approach, are very much the alphas of the group. Under these circumstances, it would be difficult to find a sense of self-worth, as Lori’s entire existence depends on another person. This all has led me to believe there is a part of Lori that enjoys having two alpha males fighting over her. It may be disingenuous to say it is a conscious feeling, but there is at the very least a sub-conscious pleasure to be had from the turmoil. Lori’s helplessness and neediness has fed into both men’s love and desire to protect, who then spend most of their waking energy on her. The majority of their decisions, especially of late, have been based in some way on Lori and, to a lesser extent, Carl. It would be difficult not to get an ego boost from such hyper-aware attention from the two most desirable men around². Despite being the one protected, Lori wields a very real power over them, and seeing as she has little control over the rest of her life, it is little wonder that she would sub-consciously revel in it. Despite clinging to certain pre-apocalypse societal norms, such as honoring marriage by sticking with Rick, Lori shows a new level of ruthlessness in Triggerfinger. Shane’s increasingly aggressive way of handling things and obsessiveness towards Lori finally has her worried, and the way she approaches this situation is really what cemented my belief on Lori’s enjoyment of wielding power. She pulls a Lady Macbeth and essentially tells Rick that he needs to kill Shane before Shane gets him first. 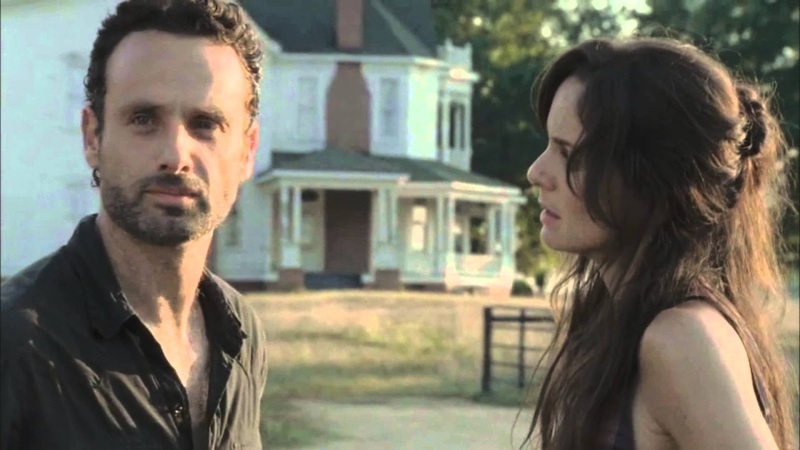 Although this showdown has been a longtime coming, Lori provides the tipping point for Rick. The other player in this tableau is Andrea. She was in the same boat as Lori, but showed from the beginning an intense desire to be able to fight and has been reckless in its pursuit. Andrea has alienated herself from most of the group through the attempted suicide and endangerment of others by using a weapon without training, so when shown the least bit of consideration from Shane, she grabs onto it with a death grip. He has provided the means for her to finally be a contributing member of the group, as well as validation that she has some worth. Because of this, Andrea has been willfully blind to any indications that Shane is unstable. It of course doesn’t help that Dale is the one attempting to convince her of Shane’s duplicity, as she remains resentful of his interference at the CDC. Andrea is not the only one getting something out of their relationship. In Andrea, Shane gets outside reinforcement in his belief that he is the only one that really takes care of the group; that the actions he takes are the correct ones. 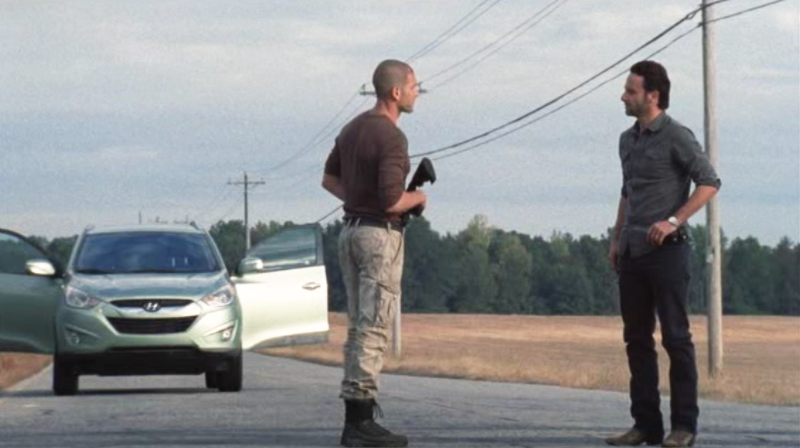 Although Shane does not need nearly as much outside influence as Rick does to come into conflict with each other, Andrea unwittingly provides it. When Shane says that their group is being put in danger and Andrea replies “Well, then we need to stop it”, she undoubtedly means making sure that Randall’s group does not find them. However, in Shane’s mind the real danger, the one who is standing in his way, is Rick. This constant affirmation from Andrea for his every action just cements in Shane’s mind that something needs to be done about Rick, both to protect the group and so he can claim what he believes to be rightfully his: Lori and the baby. Based on the previews and sneak peaks for 18 Miles Out we will most likely be seeing the big confrontation between Rick and Shane and I for one cannot wait to see how it plays out. 1. Obviously Lori had her first Walker kills in Triggerfinger and did so fairly competently. However, I will postulate that this happened because there was literally no other option. She has shown over the course of the show a distinct unwillingness to learn survival skills. In any other situation we have seen where Lori come into contact with Walkers she has let someone else take care of her. The biggest instance of this was when the heard attacks camp in season one. All Lori does is scream “Shane” and hide behind his back. Perhaps with these recent kills we will see her evolve into someone that is not content with being saved, but as of now she is firmly in the role of the protected. 2. Although Daryl is the most capable of anyone in the group to survive, he is still viewed as a second class citizen by most of the group and not as a leader. At least, not yet!